You are here: Main » Krunal Pandya destroys Kiwis, as India win second T20! 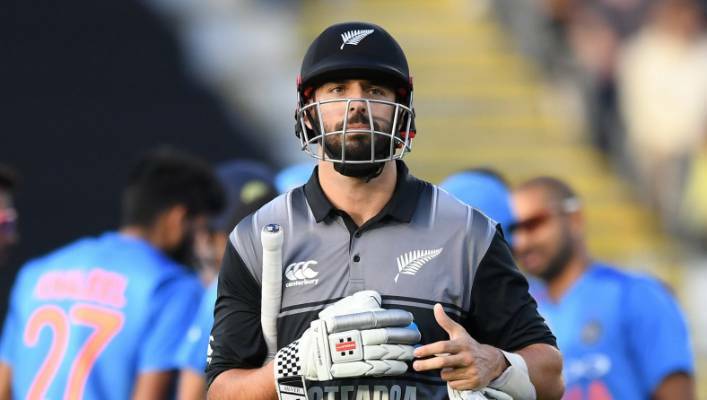 Rohit Sharma became the highest run scorer in Twenty20 global history Friday as India romped to a seven-wicket win over New Zealand in the second T20 in Auckland. Stand-in Skipper Rohit Sharma after becoming the leading run-scorer in the T20 global, led India from the front as they defeated hosts by seven wickets to level the three-match series 1-1. New Zealand were batting first and did not get the start that they would have expected. As this was a boundary that helped the team record its first-ever T20I win on New Zealand soil. The first wicket fell in the third over. Given out lbw to Krunal Pandya on just his second delivery, Mitchell quickly reviewed, indicating to captain Kane Williamson that he had hit the ball. Krunal Pandya was the pick of the bowlers from the Indian side. There was ample support from Shikhar Dhawan, who made 30, and Rishabh Pant on 40 as India made 162 for three without looking troubled. India chased down the target in 18.5 overs. The Indian team looked comfortable today and most probably, the Indian team will go with an unchanged playing XI. They came into this game to win and that's what they ended the game with. Not even the seasoned Bhuvneshwar Kumar was spared as he, alongside Hardik Pandya and Khaleel Ahmed, leaked 12 runs an over. With the former India captain (20 no off 17 balls) playing the role of a mentor at the other end, the 44-run stand was very significant as Indian cricket slowly moves towards a change of guard in coming days.